If you are unable to view, click here or scan the QR code below. 1 MONTH TO THE WORLD CITIES SUMMIT 2018! WCS 2018 DAY PASSES NOW AVAILABLE! Come and hear from thought leaders and industry giants and shape the global narrative of cities. The Day Pass also allows you entry to the City Solutions Singapore, the Singapore Government Pavilion, City Innovators, a range of co-located events and site visits (additional fees apply). The Prize Lecture is one of the key highlights at the World Cities Summit. Delivered by the 2018 Prize Laureate, Seoul, the lecture is a platform that celebrates the Laureate’s achievements in the creation of liveable, vibrant, and sustainable urban communities with a high quality of life. Hear from 2018 Special Mention cities, Hamburg, Kazan, Surabaya and Tokyo, on their diverse urban development experiences as case studies for cities around the world. Each speaker will present their unique content, the challenges faced, and the urban solutions deployed. WORLD CITIES SUMMIT PLENARY: IS COLLABORATION THE PANACEA FOR LIVEABLE AND SUSTAINABLE CITIES OF THE FUTURE? The World Cities Summit Plenary Session will round off discussion over two days and pull together the insights and best practices in governance, planning, resilience and innovation, with a focus on the development of liveable and sustainable cities for the future. It will also reiterate the importance of collaboration between city leaders and urban stakeholders to co-create liveable, competitive and sustainable environments. The Future Cities Laboratory (FCL) launches an ambitious vision to create a global research network focused on “Transformative Research for Future Cities”, and invites you to help shape it at this symposium. The unprecedented scale and complexity of urbanization calls for deeper and broader collaboration between scientists, planners, designers, artists and city makers in government, industry and civil society. Building on foundations established by FCL in Singapore and ETH Zurich in Europe, the network we envision will generate new paradigms for sustainable future cities. The symposium will showcase examples of cutting-edge transformative research on high density and building more responsive and inclusive cities, describe the vision, and provide an opportunity to enrich it. Singapore is warmer than it has to be – by as much as 7˚C in some places. This is due to the Urban Heat Island (UHI) effect, a well-known man-made phenomenon affecting large and densely populated cities. The Cooling Singapore team will present a UHI mitigation roadmap to guide policy and help coordinate long-term UHI mitigation efforts and R&D activities. The research is conducted by a multi-disciplinary team led by the Singapore-ETH Centre in collaboration with colleagues from NUS, SMART, and TUM CREATE. The team will share their experience in gathering inputs from government, the research community, and private sector in developing the roadmap, and present findings from the project. 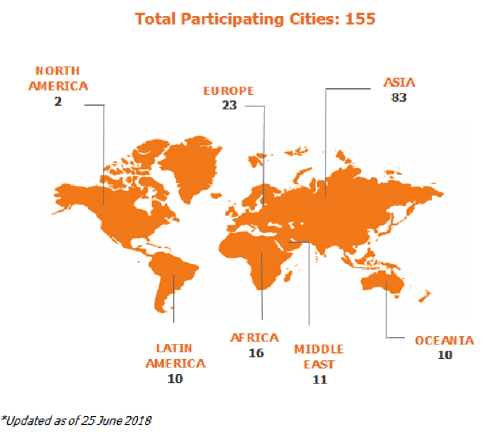 The Urban Land Institute (ULI) works with cities around the world to share best practices in land use and real estate development through the Advisory Services Programme, a 71-year-old initiative that has completed over 600 panels in 47 states, 12 countries, and four continents. The session’s discussion leaders have participated as panellists on these projects, and will share lessons learnt, best practices from each project, and the impact the Advisory Services Programme has had across all communities. Rotterdam’s Food Garden is not a normal garden. 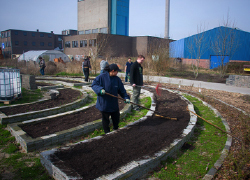 Set up in 2010, the Garden harvests fresh and healthy vegetable and fruits to supply the Food Bank Rotterdam – an organisation that delivers free food packages to low-income households. With no fertilizer and chemical pesticides being used, and having enough space for different crops and species to grow at the same time, the Garden was designed to ensures both ecological sustainability and economic viability. This social initiative champions a healthy city, supporting a sustainable urban society without poverty and social exclusion and with fresh food for everybody. Rotterdam’s story, along with other city features, will be published in an e-Publication, City Portraits, during WCS 2018. There will also be a digital showcase exhibition at Level 5 of the Summit. Join Hewlett Packard Enterprise (HPE) subject matter experts at the HPE hospitality suite where we will showcase three key innovation areas in a digital city – Smart Lighting, Smart Transport, and Smart Surveillance. 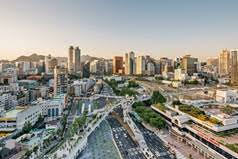 You will be able to explore our success stories about Smart Lighting in Taoyuan, Taiwan; get insights into how big data analytics is used to support Smart Public Transport planning; and discover Smart Surveillance – an end-to-end security solution featuring video analytics and video synopsis. Visit the HPE hospitality suite at Room 4211, Level 4! Sign up to receive WCS News! Sign up for the WCS newsletter to receive latest news updates! Privacy Compliance Notice: In order to ensure that our services are not adversely affected while we make improvements to our privacy processes to align with the GDPR which came into effect on 25 May 2018, we request your patience as we will, for a limited time, continue to send emails to you. Our emails to you during this period are in line with Article 95 of the GDPR and Article 13 of the European Union e-Privacy Directive which permit unsolicited marketing communications for products and services similar to that which we have provided to you in the past (for example, where you have attended any of our events). Please note that you have the right to object to receiving any emails and we will immediately cease further emails to you.